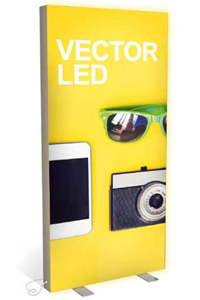 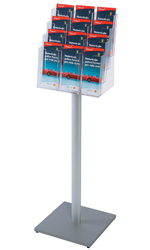 Silver anodised alloy pole and laminated base with 4x A4L clear polystyrene leaflet / brochure holder with dividers -- allowing e.g. 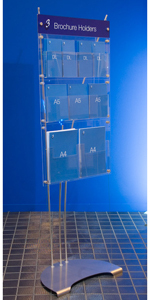 12x DL, or 4x A4L, or 8x A5P, or a combination of DL, A5 and A4L /A3P compartments to be created. 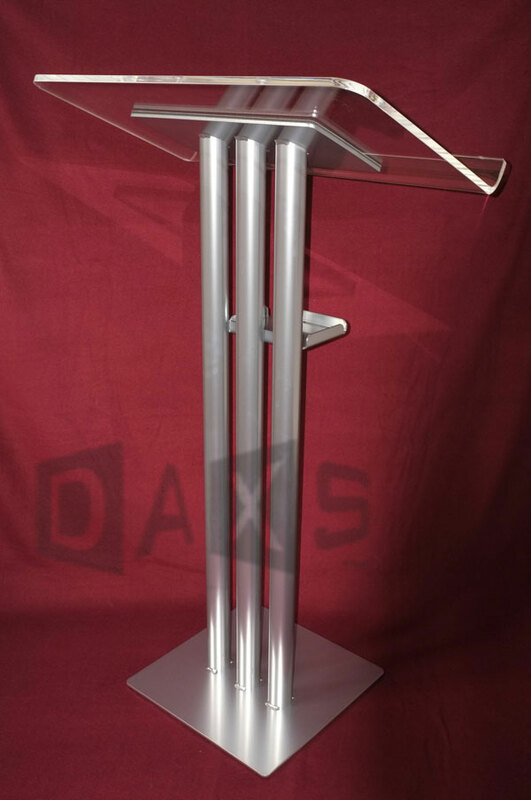 Approx height 1000mm.